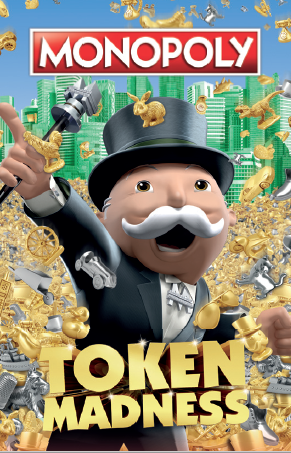 Swag Craze: Introducing the next generation of MONOPOLY tokens that are set to ‘pass GO’! Introducing the next generation of MONOPOLY tokens that are set to ‘pass GO’! Hasbro has announced the winning tokens from the MONOPOLY Token Madness Vote. Fans across the globe have spoken, and the eight tokens set to ‘pass GO’ in the next generation of the MONOPOLY game are the Scottie dog, top hat, car, battleship, cat, T-rex, rubber ducky, and penguin tokens. The vote, which kicked off on the 10th of January and ran until the 31st of January, offered the public an opportunity to select their favourite eight tokens from 64 possible options. This monumental MONOPOLY campaign drew more than 4.3 million votes, empowering fans to make their mark on the iconic game. · Scottie Dog Token: The best friend of Mr. MONOPOLY since the 1950s, the Scottie Dog token proved its popularity by receiving the most votes – making it the overall first place winner. · T-Rex Token: The mighty T-Rex token stomped its way into the new game, garnering the second most overall votes and making history as the first dinosaur token of Mr. MONOPOLY. · Top Hat Token: Coming in third place in overall votes, the Top Hat token – a staple in the game since 1935 – will keep Mr. MONOPOLY looking dapper well into the future. · Car Token: This 1930s roadster will continue fueling adrenaline rushes for Mr. MONOPOLY in the next generation of the game; coming in fourth place in overall votes. · Rubber Ducky Token: Coming in fifth in overall votes, the new Rubber Ducky token is truly all its “quacked” up to be. · Cat Token: Fans voted the Cat token into the game in 2013, and she clawed her way back in as one of the eight winning tokens, coming in sixth place in overall votes. · Penguin Token: Waddling into the game in seventh place in overall votes, the Penguin token is the new style muse for Mr. MONOPOLY. · Battleship Token: The beloved Battleship token represents the first round-the-world trip for Mr. MONOPOLY; securing the eighth spot in overall votes, this token’s legacy will cruise into the next generation of the game. The next generation of the MONOPOLY game will be available for purchase this August, but you don’t need to wait until then to get in on the MONOPOLY game play. You can pick up the MONOPOLY Token Madness edition or localised MONOPOLY Mzansi edition at your nearest retailer.